If you are within four years of incurring a college expense, you are in "short term college planning." Applying conventional long term financial planning or retirement style planning to achieve your goal of paying for college is a mistake. Families who use the appropriate short term financial planning strategies during this time will be most successful. Proper planning will also provide the right financial aid and the right college major. This is where we come in, and ask the right questions and assist you and your student in the college process. Planning for college takes work and planning. 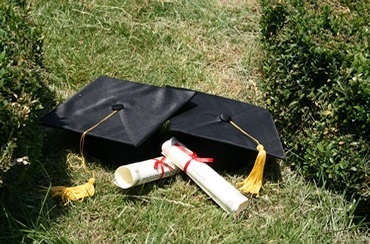 Parent and students must start planning for college when the student enters high school. Laying out a plan and sticking with it will help get the student into the right college. Getting into the right college is much more than simply filling out an application in their senior year of high school. Over $120 billion dollars of financial aid is available every year. Only 3% of the financial aid dollars are awarded as scholarships. The average cost of attendance for a full time student is over $20,000 annually. An asset in the student's name will result in a penalty in your financial aid award. Parent assets, can result in a penalty in your financial aid award. Having your college savings in the market, exposed to risk, can result in a loss of principal. Each school determines how much of your financial need will be paid with financial aid. Each school will determine how much gift aid will be given to you. SRS Wealth Management, Inc. is widely recognized as an expert in assisting families pay for their children's college without jeopardizing their own retirement. Through an initial retirement review, SRS Wealth Management advisors are capable of establishing how much parents can afford for college and how to maximize their children's education within the parameters established. If everything you thought about paying for college was wrong, when would you want to know? At SRS we have the answers. Before spending thousands of hard earned dollars towards college for your children, we invite you to spend an hour with us! Give us a call at 740-242-0173 for a free, no obligation college planning consultation.